When you come in for your therapy sessions at Taylor Physical Therapy, each session is overseen by a physical therapist, occupational therapist, physical therapy assistant or occupational therapy assistant who will help guide you through a program that was developed specifically to meet your therapy goals. Get to know the team of physical and occupational therapy professionals at each of our five locations by reading their bios below. In 1997, Jerod graduated from the University of Iowa with a B.S. in Exercise Science. He pursued his Masters of Science in Physical Therapy from Washington University and graduated in 1999. He then went on to achieve his Doctor of Physical Therapy degree in 2003 from the Arizona School of Health Sciences. He is proud to be one of the owners of Taylor Therapy and welcomes the challenges faced with continuing the legacy that Bill Taylor started with the company. His job duties include administrative and management duties for the company, orthopedic and sports medicine, patient care at the Wartburg Clinic and Waverly Health Center, athletic training for students at Waverly-Shell Rock High School, and has even offered sideline coverage for the local high school football team for the past 17 years. Jerod spends his time away from the office with his wife, fellow PT Debra, and their three kids and two dogs. He also volunteers to provide sports medicine coverage at WSR High School and Wartburg College. 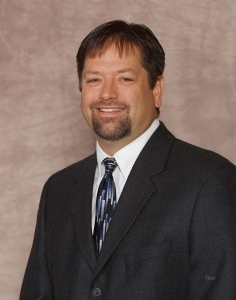 He serves as a board member for the WSR Grid Iron Club and coaches youth soccer, football, and basketball. Jerod's favorite sports teams include the Iowa Hawkeyes, St. Louis Cardinals, the Dallas Cowboys, and the WSR Go-Hawks. 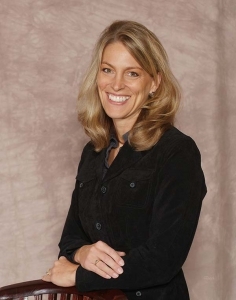 Debra graduated in 1996 from the University of Northern Iowa with a Bachelor of Science degree and continued her education to graduate with a Master of Physical Therapy degree from Washington University in St. Louis. In addition to her duties as owner of Taylor Physical Therapy, Debra also works as a full-time physical therapist with an expertise in neurologic rehab. She is a Certified Lymphedema Specialist and a Vestibular Rehabilitation Specialist. She also focuses on providing care to women for pelvic pain, bowel and bladder dysfunction, SI joint dysfunction, pregnancy, and post-pregnancy pain, and is trained in pelvic biofeedback. Debra stays busy with her three children, two dogs, as well as a co-chairman on the Butler County Advisory Committee and a member of the Butler County Board of Health. Her favorite sports team is WSR - Go Hawks! 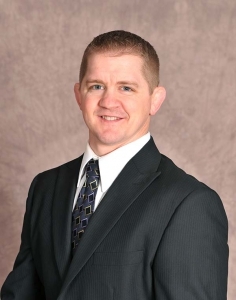 Ronald Ragsdale received his Doctor of Physical Therapy Degree from St. Ambrose University after receiving his Master's of Physical Therapy Degree from the University of Iowa and a Bachelor's Degree in biology and chemistry from Briar Cliff University. Ronald has been with Taylor Physical Therapy since 1997 and currently serves as a managing partner. He works with patients of all ages and specializes in dry needling, shoulder rehab, wound care, trigger point treatment, lower extremity biomechanics, custom orthotic fabrication, and TMJ treatment. Ronald and his wife live in Waverly and have three children. They enjoy spending time together while traveling and being active outdoors. He volunteers at his church and Waverly schools and also serves as a little league coach and community speaker. Margo graduated from Iowa State University with a BS in Leisure Studies and an emphasis in Speech-Language Pathology. She enhanced her knowledge by moving on to graduate from the University of Kansas Medical Center with a BS in Occupational Therapy. Margo primarily provides inpatient and outpatient care while assisting with some home health and nursing home care patients. Margo has a son and a daughter and also rescued a Brittany Spaniel-Poodle mix named Stamos. Jennifer graduated from Wartburg College majoring in psychology and College of St. Catherine’s with an MA in Occupational Therapy. She enjoys working with patients who are dealing with hand/wrist/elbow injuries as well as neurologic conditions (stroke, Parkinson’s, etc). She also specialized in functional cognitive testing to assist doctors and families in decision making regarding independent living and driving. Jennifer also assists in facilitating the Parkinson’s support group. She is active in disability advocacy both as a board member of the Iowa Chapter of United Spinal Association and making frequent contact/ visits with legislators in Des Moines and in Washington D.C.
Lynda joined our team here at Taylor in 2012 after graduating from Hawkeye Community College with an Associates of Applied Science for Occupational Therapist Assistant. Lynda then when back to school and graduated in 2017 from the Concordia University of Wisconsin with her Masters of Occupational Therapy. Lynda treats the patient’s in a variety of setting – outpatient, home health, hospital inpatient and pediatric outpatient therapy. She enjoys treating and interacting with patients of a variety of ages and diagnosis. Lynda currently resides in Cedar Falls with her husband, Scott, 1 daughter, Ella and a baby due in March. During their free time, they love to cheer on their favorite teams the UNI Panthers and the Green Bay Packers. Brooke graduated from Wartburg College in Waverly, Iowa in 2006 with a BA, majoring in Biology with a minor in Psychology. In 2008, Brooke graduated from the University of Iowa Rehabilitation Science program with a Doctorate in Physical Therapy. At the Waverly Health Center, as well as the Hillcrest and Tripoli nursing homes, Brooke enjoys working with geriatric patients for the treatment of vertigo, balance, and general orthotics. Getting the opportunity to work one-on-one with patients, spending quality time educating patients on the role of PT in their life, and making patients and co-workers smile with her banter are Brooke's favorite parts of her job. In her free time, Brooke is busy with her husband, two children, and two dogs. She enjoys volunteering at various school activities within the community. Brooke is a fan of the Wartburg College Knights football team, the Iowa Hawkeyes, and the Chicago Cubs. Casey attended Wartburg College and graduated with a Bachelor's Degree in Biology in 2001. He continued his education at the University of Iowa Graduate Program in Physical Therapy then graduated with a Master's Degree in Physical Therapy in 2003. Casey offers outpatient and home healthcare services while working on business wellness program development, occupational health rehabilitation which includes functional capacity evaluations, post-offer testing design, and job-site analysis. Casey's favorite sports teams include the Iowa Hawkeyes, Chicago Cubs, and the Chicago Bears. In his free time, he enjoys coaching recreational soccer and youth wrestling. Casey and his wife stay busy with their three children and two dogs. Eric attended the University of Northern Iowa where he received a Bachelor’s degree in Movement and Exercise Science. Eric also attended the University of Iowa where he received his Doctorate in Doctorate of Physical Therapy. Eric’s fascination and eagerness to learn about human anatomy made physical therapy a profession he was excited to purse from early on in his education. He enjoys the active component of the profession and helping each individual by educating them on their condition and the reasoning behind the interventions that he utilizes during their treatment. Eric grew up in Maquoketa, Iowa with a sister and a twin brother. He spends his free time cheering on his favorite team the Chicago White Sox. 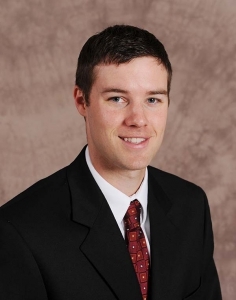 Garrett attended the University of Northern Iowa and graduated with a BA Degree in Athletic Training. In 2017, he later earned his Doctorate of Physical Therapy degree from Clarke University. Garrett works at both the Waverly and Parkersburg clinics as a physical therapist and offers outreach services to Janesville high school students with sports injuries. Garrett specializes in outpatient orthopedics and sports medicine providing individualized 1-on-1 care to patients of all ages and injury types. He works to provide a fun, yet hard-working atmosphere to make your great rehabilitation process a great experience. Garrett is originally from Illinois, he is the oldest of 4 brothers. He enjoys spending time with his fiancé and family, the outdoors, and cheering on his favorite teams The Green Bay Packers, Chicago Cubs, Chicago Bulls and the Fighting Illini in his spare time. Jenifer attended St. Ambrose University where she received a Bachelor of Science degree with a Major in Exercise Science and a Doctorate of Physical Therapy. She enjoys meeting new patients and discovering how she can best help each individual improve their health and function through physical therapy. Jenifer spends her free time outdoors on family bike rides and enjoys going swimming with her husband, Luke, and their three children. She also volunteers at her church, assisting in the nursery as well as assisting with the setup and tear down activities. Jennifer attended the University of Northern Iowa and graduated in 2007 with a Bachelors of Arts degree in Psychology and a minor in Biology. She earned her Doctor of Physical Therapy degree in 2009 from the University of Iowa. Jennifer is also our Therapeutic Pain Specialist. She received her certification from the Spine and Pain Institute. 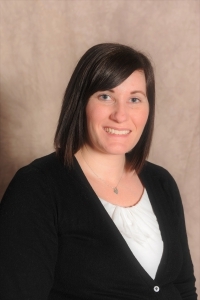 As a physical therapist, Jennifer evaluates and assesses patients thoroughly to create an individualized plan of care. She incorporates training in Selective Functional Movement Assessment, Functional Dry Needling, and Therapeutic Pain techniques to provide evidence-based care to help her patients meet their goals, improve their functional mobility, and increase their quality of life. Along with her three children, husband, and dog, Jennifer and her family love being outdoors, hiking, biking, and swimming. She also completes triathlons with her husband and loves to travel and spend time with friends and family. You can always find Jennifer and her family cheering on the Hawkeyes and Boston Red Sox or volunteering at St. Paul's School PTO and Crosspoint Church. After earning her BA degree in Biology from the University of Northern Iowa, Jennifer attended St. Ambrose University where she received her MPT degree. Jennifer collaborates with the entire therapy staff at the Waverly Health Center, as well as all other healthcare providers of her patients, to ensure that every patient she sees receives quality physical therapy care, are treated with dignity and respect, and are given the tools needed to reach their goals and maximum functional potential. Along with her husband and daughter, Jennifer supports the UNI Panthers and enjoys spending time with family while going on trips to Okoboji. Jennifer volunteers at the Oster Regent Theater Box Office, Sacred Heart Church, St. Edward's School, and is involved with the UNI Volleyball Golf Outing. 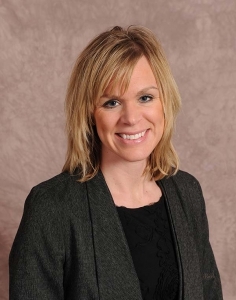 Jennifer earned her BA in Biology in 2004 from the University of Northern Iowa and her Doctorate of Physical Therapy in 2006 from the University of Iowa. She specializes in the treatment of patients in both home health and skilled nursing facilities. Her primary focus is in geriatrics and home care patients. She recently completed her certificate in Oncology Rehabilitation from PORi located in Denver, CO and has started an outpatient cancer rehab program at WHC. Jennifer stays busy with her husband, their three children, and her volunteer commitments to the American Cancer Society, West Cedar Elementary, and St. Mary's Church. For fun, you will find Jennifer cheering on the Chicago Cubs, Iowa Hawkeyes, and the UNI Panthers. 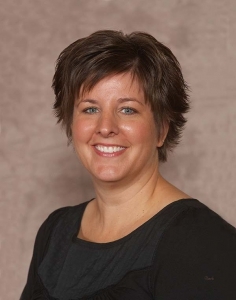 With a Bachelor's Degree in Biology from the University of Northern Iowa, a Master's Degree in Physical Therapy from the University of Iowa, and a Doctor of Physical Therapy degree from Des Moines University, physical therapist Julie Eddy brings valuable knowledge to her patients. She enjoys working to improve the quality of life of her patients by getting to know them and their personal needs. Her belief is if patients have confidence in her, they can work together to develop a plan to meet all their goals. Julie works with a diverse range of patients and diagnoses and believes that the correct diagnosis is a key step in developing the proper care plan for her patients. Julie enjoys spending time with family, friends, her husband, and their three children in her free time. She also loves a good book, outdoor adventures, traveling, running, coffee, and yoga. Julie is an active member of the Parkersburg United Methodist Church, where she is a Sunday School Teacher and Sunday School Board Member. She also serves as a youth soccer coach and a community board member for youth soccer. She and her family follow Iowa Football, Iowa and UNI basketball, and the Parkersburg Falcons. 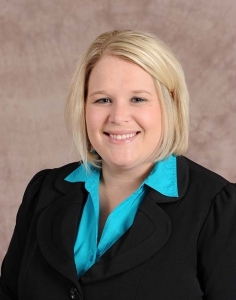 Kristin attended Waverly-Shell Rock High School and went on to get her BA in Biology in 2010 from Wartburg College before receiving her Doctor of Physical Therapy degree in 2013 from Des Moines University. Kristin enjoys working with a variety of patients from pediatrics and elderly patients to neurological and orthopedic patients. She is easy to find in the clinic because she is known for being loud and talkative at times. She is also known to not do a great job at counting repetitions during exercises so if you're one of her patients, you may need to count your exercise repetitions for her! When Kristin and her husband aren't playing with their twin daughters and dog, you can find them volunteering alongside the Wartburg College Men's and Women's Tennis Teams while serving as "family friends" for two Wartburg College International Students. Kristin and her husband are always looking for ways to stay involved in the community and their alma mater Wartburg College. When it comes to sports, Kristin cheers on the Iowa Hawkeyes, St. Louis Cardinals, and the Green Bay Packers. Leah earned her BSES from Saint Louis University in May of 1995 and her MPT in December 1996. 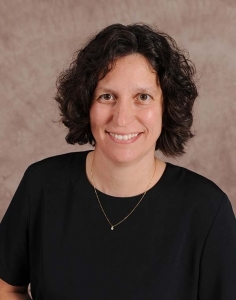 Her primary work is focused on inpatient acute and skilled care at the Waverly Health Center as well as outpatient care at Waverly Clinic for all pediatric, geriatric, and amputee patients. Her approach to treatment in both settings is always positive with a great sense of humor and a team approach to patient care. 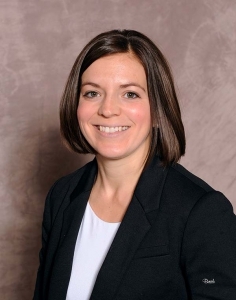 Leah was born and raised in Waverly and has previously been employed at Jefferson Memorial Hospital in Crystal City, Missouri and Iowa Health System in Des Moines, Iowa. Leah is married with two children and has a service dog who provides Animal Assisted Therapy at Taylor Therapy and WHC. In her spare time, Leah volunteers as the IPTA Board of Directors for NE Iowa District and cheers on the W-SR Go-Hawks and the St. Louis Cardinals. Marissa joined Taylor Physical Therapy in 2018. She attended Wartburg College and earned her Biology degree and Leadership Certificate, the University of Colorado where she earned her Doctorate of Physical Therapy and Barcelona Scoliosis Physical Therapy School and received her Schroth-Barcelona Institute Certified treatment of scoliosis. Marissa currently treats patients in the Waverly and Sumner clinics where she strives to provide purposeful exercises along with education to her patients to encourage participation in a fun, yet challenging way. With her pediatric patients, she makes all the exercises age appropriate with the use of toys while focusing on the patient’s goals and their impairment. Marissa and her parents reside in Tripoli, IA. She has one brother who is finishing up his agriculture business degree at Upper Iowa University, and her boyfriend is currently living in Cherokee, IA where he works for Pioneer as a field manager and agronomist. Michael Kaus graduated from Bemidji State University with a BS Teaching Degree in Biology and received a certificate from the Mayo Clinic Program in Physical Therapy. You can find Michael working at our Sumner and Waverly locations as a staff physical therapist. 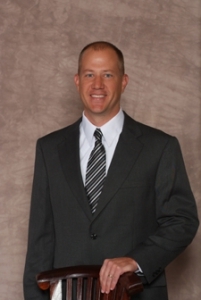 Michael enjoys working with people of all ages and specializes in orthopedic injuries. He is truly interested in getting to know each of his patients during their recovery. Michael and his wife have six grown children with five living in different states. He and his family have a lot of vacation destinations and enjoy spending time with their 10 grandchildren. Michael also greatly enjoys volunteering his time as a caregiver for elderly parents as well as greeting and participating as a communion server at his church. 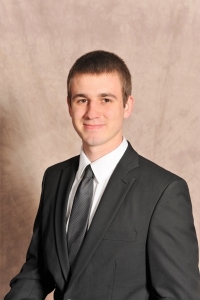 Nathan holds an Undergraduate Degree from the University of Northern Iowa as well as a Graduate Degree from Des Moines University. He works at our Nashua Therapy Clinic as a physical therapist specializing in outpatient orthopedics. Nathan enjoys working with all types of patients, surgical or non-surgical, and has a special interest in the treatment of patients who suffer from back or shoulder pain. Nathan has three wonderful children with his wife, as well as a family dog. You can expect Nathan to be rooting for his favorite teams, the UNI Panthers, and the Iowa Hawkeyes. 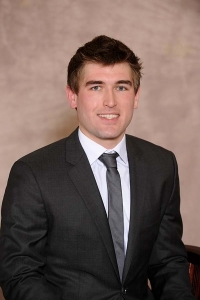 Sam graduated from the University of Northern Iowa in 2013 with a Bachelor of Arts and then continued his education at the Des Moines University earning his Doctorate of Physical Therapy in 2018. Sam currently treats patients in the Waverly Clinic and enjoys getting to know each one on a personal level to help assist them in reaching their physical therapy goals. Sam understands what a lot of his patient is going through due to the many injuries he sustained during sports in high school. He enjoys using functional movements in his treatments and educating patients about their condition/health/fitness. Sam enjoys working with all patient populations, but especially enjoys working with athletes because he gets to be creative with exercise and often gets a good workout himself. Sam was born and raised in Parkersburg, IA and currently is living in Waverly with his wife, Michelle, and their two sons Kai and Crew. Sam’s favorite sports teams include the Chicago Bulls, Bears, Cubs and the Iowa State Cyclones. In his free time, he enjoys spending time with his family such as playing games, going for walks, and playing at the park. Shelby attended the University of Northern Iowa and graduated with a BA Degree in Athletic Training. In 2009. She later earned her Doctor of Physical Therapy degree from Des Moines University. 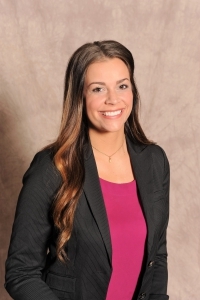 Shelby works at both the Waverly and Nashua clinics as a physical therapist and enjoys offering outreach services to Nashua-Plainfield high school students with sports injuries. Her personal experience with a torn ACL in high school is what triggered her interest and passion for physical therapy. Understanding her patient's injury or condition, providing individualized, hands-on treatment, and getting people back to their daily routines are what Shelby enjoys most about her job. 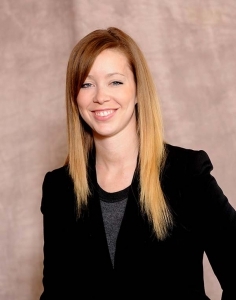 Shelby is also a women's health therapist that treats pelvic floor dysfunction, pelvic pain, and core strength. Shelby shares two children and one dog with her husband. They enjoy their time outside and watching UNI Panthers and Iowa Hawkeyes sporting events. Kayla attended the University of Northern Iowa and graduated with a Bachelor’s and a Master’s Degree in Speech-Language Pathology. Kayla primarily works with the pediatric population. With children, my job is to use play, imagination, and creativity to provide children with the opportunity to play an active role in their own education and development. I also work with families to determine their unique goals and provide the tools to help children succeed in their everyday environments. I create opportunities for kids to learn to express themselves in a safe and effective way. I am also an advocate and lifelong resource for children and families. Outside of “speech and language”, I provide feeding and swallowing therapy, auditory rehabilitation, augmentative and alternative communication opportunities, social skills training, and a variety of cognition services. Kayla has always had a passion for working with children. She is driven by the overwhelming joy and fulfillment that comes from providing children and families with a successful communication line, whatever that may look like for them. She truly believes that EVERYBODY DESERVES A VOICE and feels so blessed to have the opportunity to help facilitate this for so many amazing young people and their caretakers. Kayla enjoys spending time with her husband - Jeremy, stepdaughter - Lexie, and their 2 dogs - Old Man Oscar and Laney. Kayla also spends her free time volunteering with the Waterloo Schools Mentor/Mentee program and also with the Shop with a Cop program. Aaron was raised in Blooming Prairie, MN where he attended Blooming Prairie High School and participated in football, basketball, and baseball. 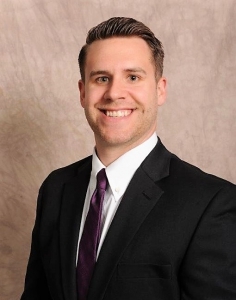 After graduating from Minnesota State University - Mankato in 2014 with a bachelor's degree in Athletic Training, Aaron continued his education at the University of Northern Iowa. While completing his Master's degree in Athletic Training, Aaron served as Graduate Assistant Athletic Trainer at Aplington-Parkersburg High School. Aaron's professional interests include manual therapies, concussion prevention and management, functional rehabilitation, and strength and conditioning training. During his free time, Aaron enjoys spending time with his friends, family, exercising, and being an avid Minnesota sports fan. In 2012, Destry graduated from the University of Northern Iowa with a B.A. in Athletic Training. He then went on to attend Southern Illinois University where he graduated with an M.S. in Kinesiology. Destry works as the Athletic Trainer for the W-SR High School. As the school's primary sports medicine caregiver, he specializes in the prevention, recognition, assessment, physical evaluation, management, treatment, and physical reconditioning of athletic injuries. Destry is also working with middle school athletes helping them learn the fundamentals of sports conditioning. Destry is also a resource for directing plan of care following sports medicine-related injuries. He also helps manage the Sports Performance programs in the advancement of an athlete's physical capability while decreasing the likelihood of injury through Taylor Physical Therapy. In Destry's free time, he enjoys being outdoors with his wife and their English bulldog. He also enjoys volunteering at his local church, working with local outdoor federations in conservation management, and introducing the youth in the community to hunting and the outdoors.